The phrase ‘knowledge is not the answers you know it is the questions you ask’ is one in which I passionately believe. Teaching children is much easier and more successful when you provide a stimulating and supportive framework and they then motivate themselves through the learning opportunities. I know it sounds idealistic and unobtainable but I have been privileged to witness and experience this. My venture into beekeeping has filled my mind with new knowledge but for each new fact, about 10 more questions! I started this morning wondering whether I should put Growmore on my lawn, so I read about some of the theories about the decline of the bees and possible causes, got entwined in chemical names such as Nitrogen, Phosphorus and Potassium and then clicked a few links and ended up somewhere completely different. I probably fell down a virtual Alice in wonderland rabbit hole somewhere in cyberspace. This is where I landed in a metaphorical heap http://buzzybeegirl.wordpress.com/2009/01/09/slumbee-parties – looking in wonder at some pictures of bees taken by ‘Goodbear’ and discussed by Anna aka BuzzyBeeGirl. I bet her blog gets more visits than mine. I’d jumped to Anna’s blog seeing a reference to Eucera: the curiously goat-like, long horned bee. Now if that is not a heading that raises curiosity I don’t know what is. This entry had been posted by Sharp Green Pencil and was informative and featured some beautiful illustrations and is another worth a long look. Some of my curious meanderings of late have featured Bumble Bees more than honey bees. 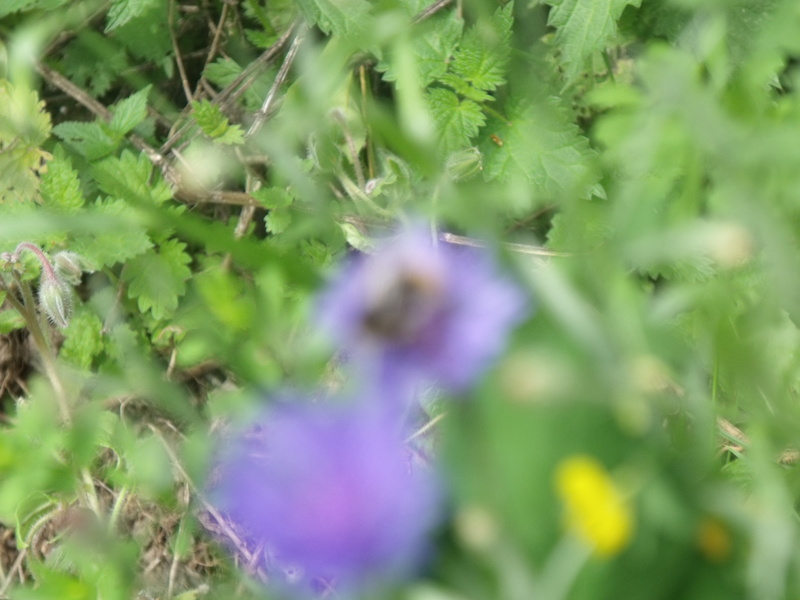 For example – is there such a thing as a Cuckoo Bumble Bee? Yes more than one – see http://www.bumblebee.org/cuckoo.htm I am not fully sure that I understand how these thrive. I thought for Bumble Bees only virgin queens overwintered. I suppose that the cuckoo bees brought up by alien mums are as likely to overwinter successfully. It just seems rather odd that they would never have contact with their own Mum and do they mate with drones of their own kind? It all seems so hit and miss but I guess I should be more worried about the hosts duped into caring for these cuckoo bees.